Happy Thanksgiving! Have Some More BOOKS! Did your Thanksgiving dinner give you sticker shock? Be of good cheer! While turkey, yams, and pumpkin pie–as well as the plates, the table, and the floor beneath–might have gone up this year, the price of books has plummeted. You can e-read from now until New Year’s for less than it cost you to drive over the river and through the woods. 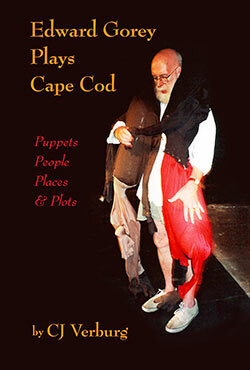 Boom-Books is celebrating Black Friday, Cyber Monday, and the weekend in between by giving out “Edward Gorey’s Stealth Career in Theatre” for free on Amazon! That’s right: from midnight on Thanksgiving Day until midnight on Monday, Dec. 2, just click on the link above for a free copy of this literary aperitif. If you’ve ever been curious about Edward Gorey as an artist, writer, and human being, but not sure you’re $15 worth of curious, now’s your chance. This mini-ebook is also an ideal way to find out if my multimedia paper book Edward Gorey On Stage (which is available as an e-book, too) is the perfect holiday gift for your friend who has everything. Read reviews here! As a bonus, Edward Gorey On Stage is discounted on Amazon this weekend, from $14.99 to just $10.27 in paperback ($4.99 ebook). If romance is more your style, Boom-Books has a special deal for you on Sunday and Cyber Monday, Dec. 1-2. 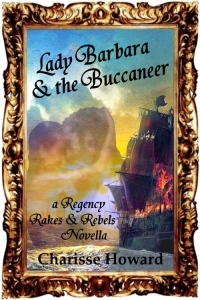 Charisse Howard’s brand-new “Regency Rakes & Rebels” novella Lady Barbara & the Buccaneer is FREE from midnight Saturday until midnight Monday. The Regency wasn’t all nuanced flirtation between young English ladies and gentlemen. In those days the British Empire reached around the world like a giant squid, from South Asia to the Gulf of Mexico. Lady Barbara Poole, who fled to the Louisiana Territory after her English father’s death, can’t resist one last fling at a Carnival held by the Gulf pirate Jean Laffite and his band. The last thing she expects is to be swept off her feet by the notorious Black Buccaneer. Who is he, and what does he want with her? Not until she returns to London does Barbara discover the truth behind their unforgettable night of passion.